I have been cocooning: Recentering myself and getting reacquainted with me. I exist: I think, work, sleep, eat, meet friends occasionally, but I feel like I’ve lost touch with who I am. There are days when I feel suddenly “un-want-able.” Unwantable. It’s similar to feeling unwanted or unloved, but it’s not the same, because you know you are wanted and you are loved…. I’ve also been thinking a lot about strength, and doing what you need to do to be true to yourself. I’m thinking more people can’t do it, can’t find that strength, and continue to exist because the alternative is to change and leave behind the familiar and comfortable. I cannot imagine not finding the strength to do what needs to be done. 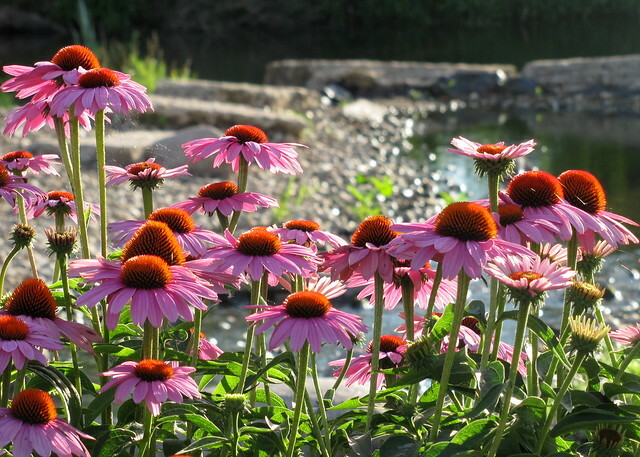 Oh, echinacea: Commonly called purple coneflowers, some species (there are nine) are used in herbal medicines.